All Disney Leading Ladies. . HD Wallpaper and background images in the Disney Females club tagged: photo jane porter snow white esmeralda jasmine tiana mulan alice ariel maid marian. 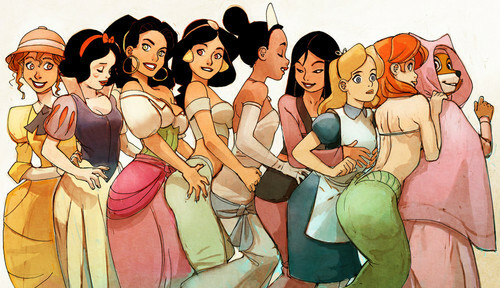 This Disney Females fan art might contain anime, comic book, manga, and cartoon.